WASHINGTON (AP) — U.S. and Canadian negotiators are working around the clock on a deal to keep Canada in a North American trade bloc ahead of a Sept. 30 U.S. deadline. 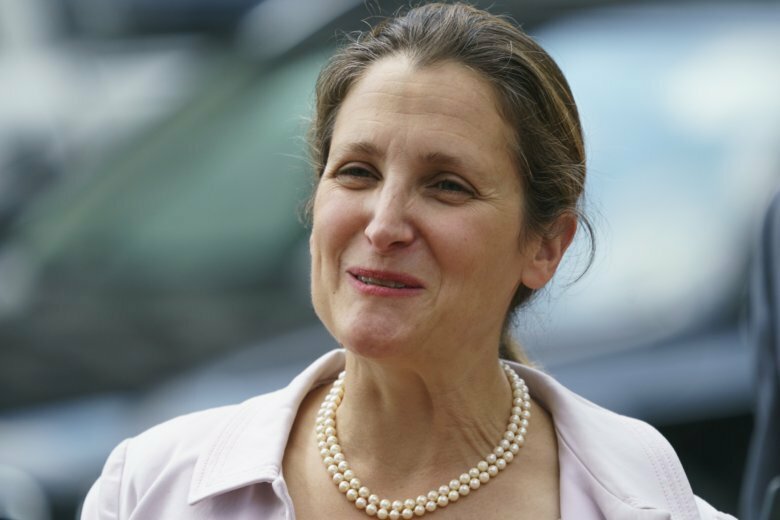 Freeland is returning to Canada for a summit of women foreign ministers Friday but said she and Lighthizer remain in close contact by phone and email. Canada was left out when the United States and Mexico reached an agreement last month to revamp the North American Free Trade Agreement. Freeland is trying to get the No. 2 U.S. trade partner reinstated. The countries are under pressure to reach a deal by the end of the month, when Lighthizer must make public a copy of the full text of the agreement with Mexico. Until then, he has time to bring Canada back into the regional trading bloc. Trump has said he wants to go ahead with a revamped NAFTA — with or without Canada. It is unclear, however, whether Trump has authority from Congress to pursue a revamped NAFTA with only Mexico, and some lawmakers say they won’t go along with a deal that leaves Canada out. Among other things, the negotiators are battling over Canada’s high dairy tariffs and policies meant to keep the country’s culture from being overwhelmed by U.S. movies and television. Canada also wants to keep a NAFTA dispute-resolution process that the U.S. wants to jettison. Jerry Dias, president of the Canadian private-sector union Unifor, expressed “guarded optimism” about the talks. The U.S., he said, “is now recognizing that there is not going to be a deal” if it does not make some concessions to Canada.